The highest attendance in years proves that many are still interested in the self-storage industry and want to grow their businesses. Entrepreneurs and builders are considering self-storage for their next business opportunity. They attended the expo to do research on the industry. Self-storage owners and operators want to manage their business using a web-based management system and want access to mobile features. Using a network, like U-Haul Self-Storage Affiliate Network, offers increased visibility and more reservations. Streamlining business operations is key to efficiency in the self-storage industry. The business needs for self-storage owners and operators are changing due to the growing Millennial demographic. 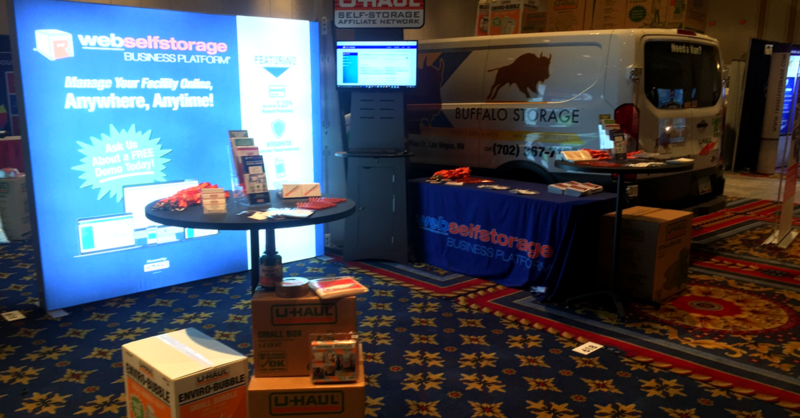 USSAN was happy to share about all the updates, improvements and key functions of the U-Haul Self-Storage Affiliate Network and the WebSelfStorage platform. In case you missed USSAN at the 2017 ISS World Expo, here are the hot topics from the USSAN booth. Updates made toWebSelfStorage provide more efficiency and features to self-storage owners and operators. Text messaging and mobile payments are possible with the new mobile features on WebSelfStorage. WebSelfStorage is the only 100% fully integrated, web-based platform for managing your self-storage facility. Affiliates with USSAN become U-Haul dealers, sell U-Haul moving supplies and use an advertising van to earn extra income. It is a great time to be a part of the self-storage industry. Events like the 2017 ISS World Expo give everyone an opportunity to learn from each other and find the right products, tools and services to help them make their businesses a success. USSAN is a firm believer that pairing a strong network with a robust software management system is the path to success for self-storage owners. Request a WebSelfStorage demo and see how it could help your business.